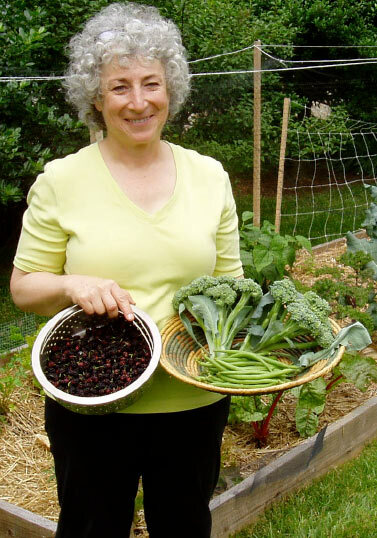 Debbie offers seminars and healthy cooking demonstrations at government agencies, corporations, associations and schools and works with individuals and groups to help them discover the tools needed for a lifetime of balance. She worked in the field of social work for over 30 years and realized that she could have the greatest impact on her clients' well being by helping them to better care for themselves and assisting them in creating a healthy lifestyle. Debbie trained with Hale Sofia Schatz, international nutrition educator and author of If the Buddha Came to Dinner: How to Nourish Your Body to Awaken Your Spirit. Debbie is also a graduate of the Institute for Integrative Nutrition in NY and holds a certificate in culinary coaching from Harvard's School of Lifestyle Medicine. She is based in Olney, Maryland within an easy commute of Washington DC, Baltimore, Northern Virginia, Annapolis and Frederick. In addition to seminars, counseling and cooking classes, she also offers nutritional cleanses, farmers’ market and health food store tours, menu planning, pantry consultations and personal chef services. Debbie will help you navigate the sometimes confusing and challenging path to better health.